History of Ethereum: How it's set to overtake Bitcoin by 2018 #Infographic ~ Visualistan '+g+"
We need to start in the beginning. 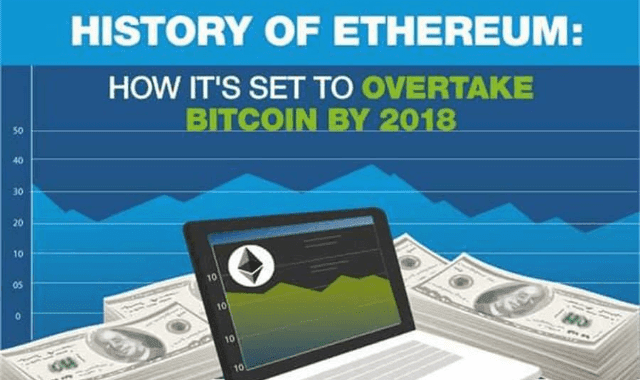 The infographic below traces the history of Ethereum and identifies the key events that lead it to emerge as one of the most important cryptocurrencies. Starting in 2013, the infrastructure started to be built that would allow this new coin to pose a major threat to the main 'rival': bitcoin. Let's then trace the origins and evolution of Ethereum – and lay the foundations for why, in our opinion, Ethereum is set to overtake bitcoin by 2018.